Wix websites have limited functionality, and unfortunately do not support all of the integration options available in your Flipcause Integration Center. (Wix does not work with our floating buttons, popups, or direct embed campaign options). Here is how to launch your campaign on Wix. 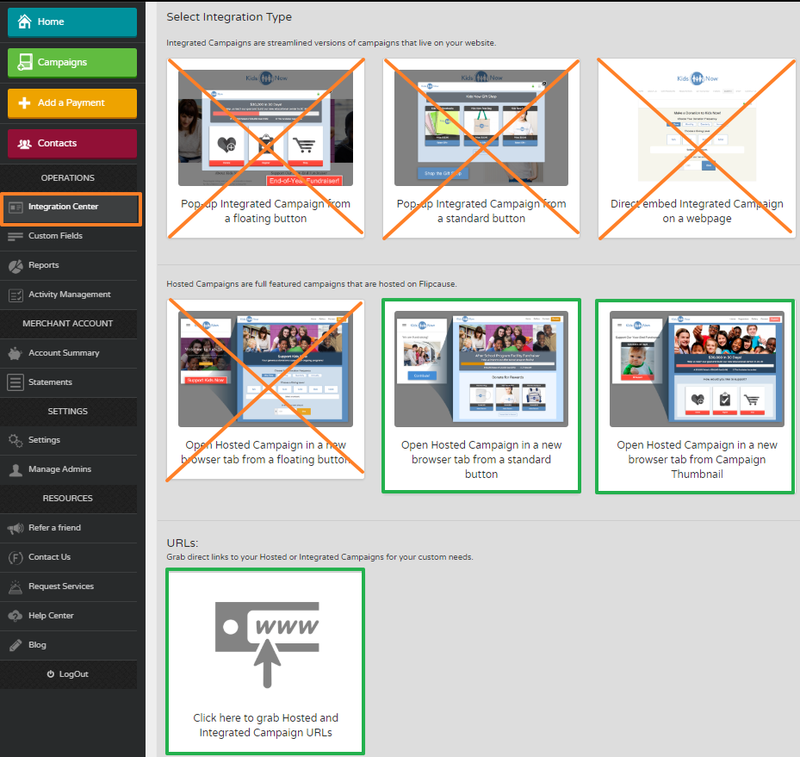 Click Integration Center from your side navigation and select if you'd like to share a Campaign or Campaign Menu. Once you select an option, you will be able to customize your button options as well as see a preview. Once you are satisfied with your customizations, click Generate Code. An overlay will present you code options. Scroll down to the section that says "Copy This Button Code to Your Desired Webpage(s) and copy the code to the HTML code block onto the desired webpage(s) in your WIX website editor.